The small worlds of our solar system help us trace its history and evolution, including comets. 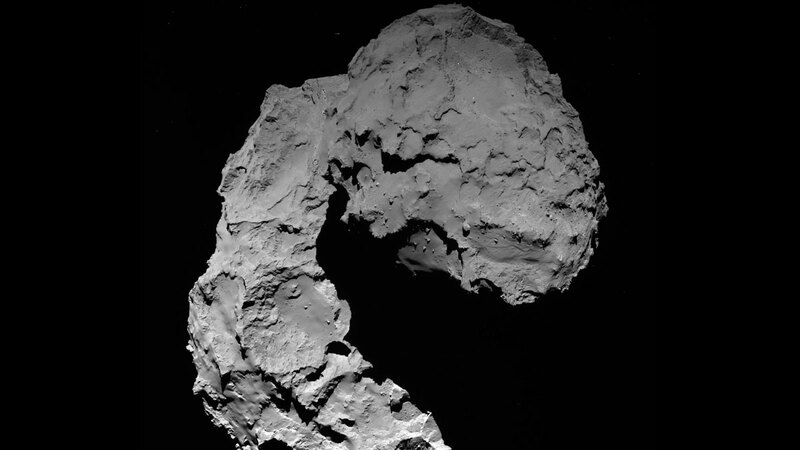 This video clip was compiled from images taken by NASA's EPOXI mission spacecraft during its flyby of comet Hartley 2 on Nov. 4, 2010. 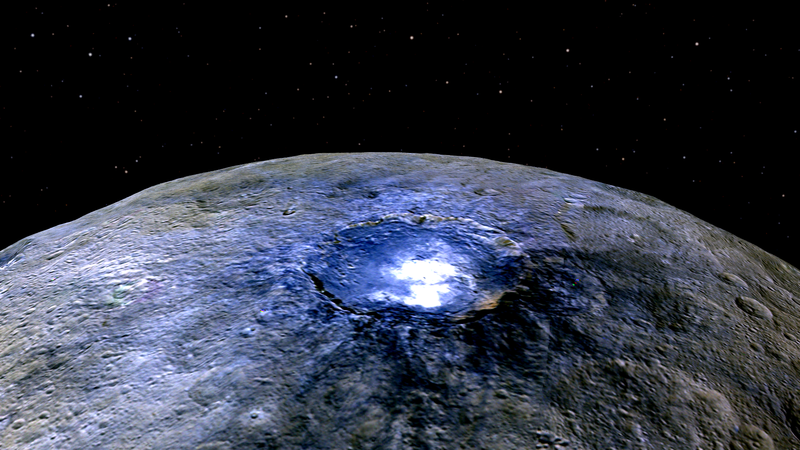 This representation of Ceres' Occator Crater in false colors shows differences in the surface composition. 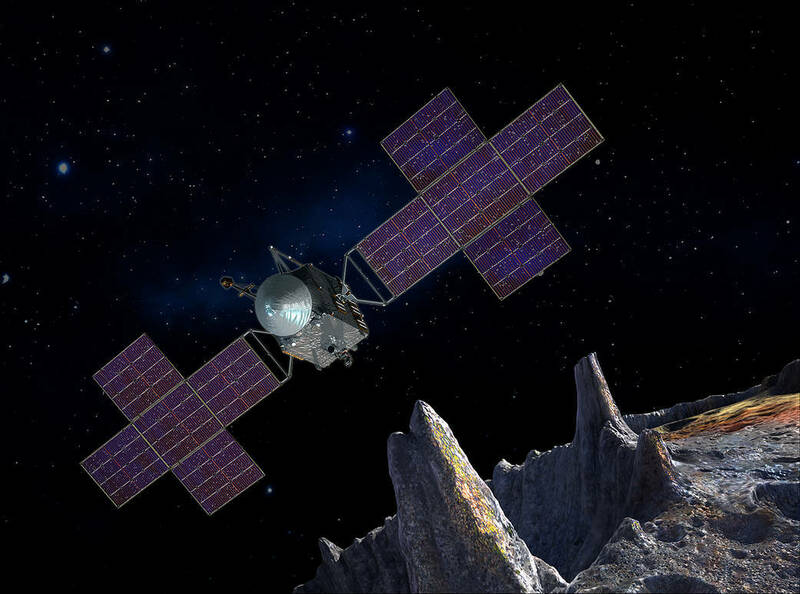 This artist's concept depicts the spacecraft of NASA's Psyche mission near the mission's target, the metal asteroid Psyche. 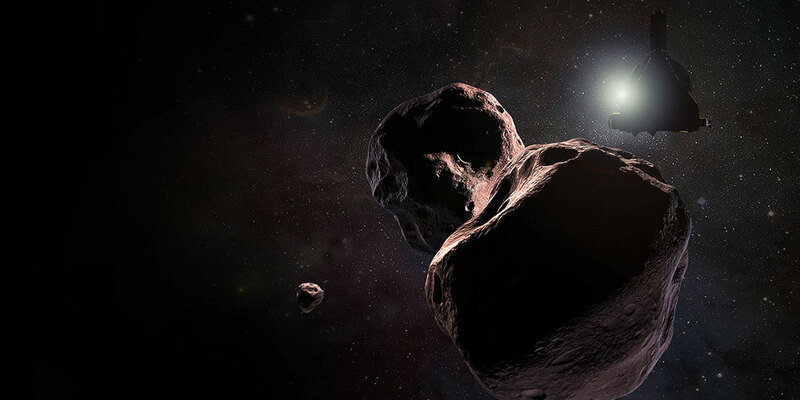 Artist's impression of NASA’s New Horizons spacecraft encountering 2014 MU69, a Kuiper Belt object that orbits the Sun 1 billion miles (1.6 billion kilometers) beyond Pluto, on Jan. 1, 2019. Farther afield, NASA's New Horizons spacecraft is currently on its way to a distant object called 2014 MU69, nicknamed "Ultima Thule" by the mission. One billion miles farther from the Sun than Pluto, MU69 is a resident of the Kuiper Belt, a region of ice-rich objects beyond the orbit of Neptune. Objects like MU69 may represent the most primitive, or unaltered, material that remains in the solar system. While the planets orbit in ellipses around the Sun, MU69 and many other Kuiper Belt objects have very circular orbits, suggesting they have not moved from their original paths in 4.5 billion years. These objects may represent the building blocks of Pluto and other distant icy worlds like it. New Horizons will make its closest approach to MU69 on Jan. 1, 2019 -- the farthest planetary flyby in history. "Ultima Thule is incredibly scientifically valuable for understanding the origin of our solar system and its planets," said Alan Stern, principal investigator of New Horizons, based at Southwest Research Institute in Boulder, Colorado. "It's ancient and pristine, and not like anything we've seen before." 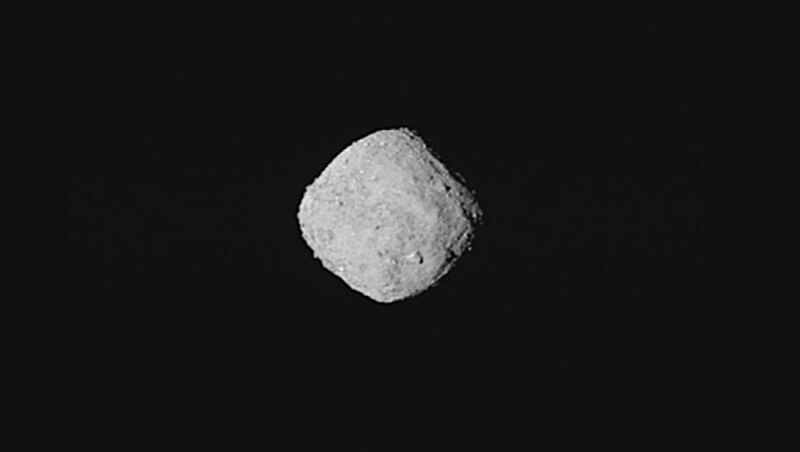 This "super-resolution” view of asteroid Bennu was created using eight images obtained by NASA’s OSIRIS-REx spacecraft on Oct. 29, 2018, from a distance of about 205 miles (330 kilometers). 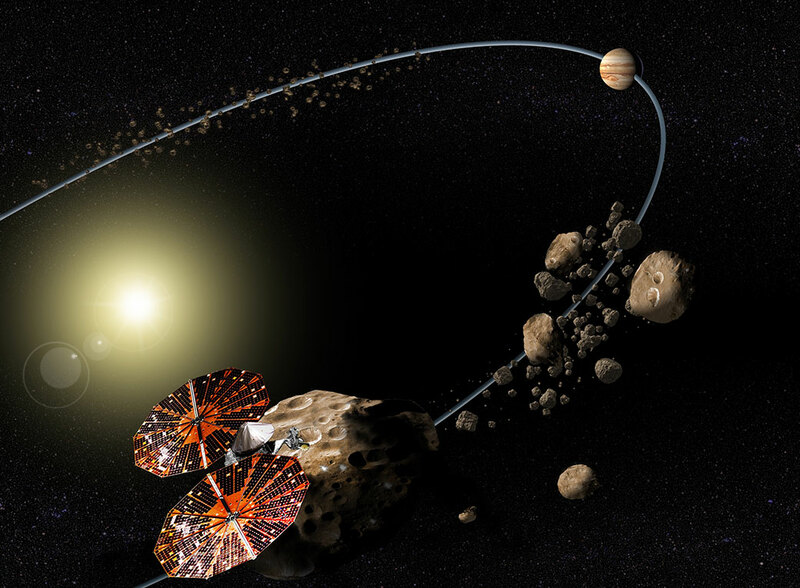 Conceptual image of the Lucy mission to the Trojan asteroids. This animation portrays a comet as it approaches the inner solar system. 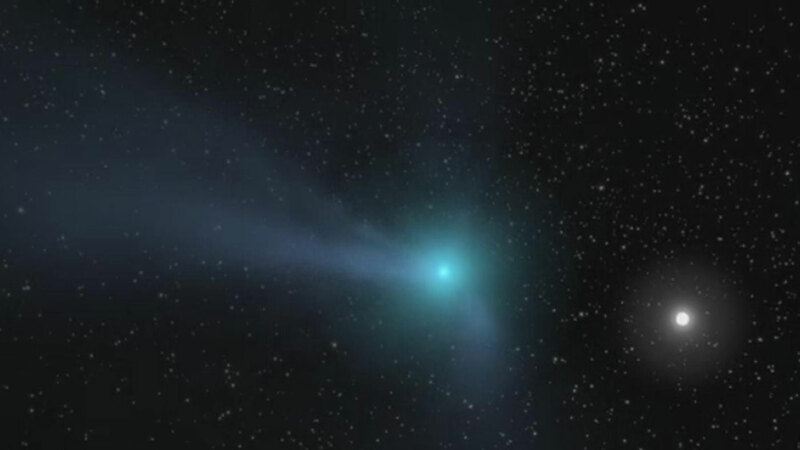 Light from the Sun warms the comet’s core, or nucleus, an object so small it cannot be seen at this scale. While the Trojans are stuck being Jupiter groupies, Bennu, the target of the OSIRIS-REx mission, is one of the most potentially hazardous asteroids to Earth that is currently known, even though its odds of colliding with Earth are still relatively small; scientists estimate Bennu has a 1‐in‐2,700 chance of impacting our planet during one of its close approaches to Earth in the late 22nd century. Right now, scientists can predict Bennu's path quite precisely through the year 2135, when the asteroid will make one of its close passes by Earth. Close observations by OSIRIS-REx will get an even tighter handle on Bennu's journey, and help scientists working on safeguarding our planet against hazardous asteroids to better understand what it would take to deflect one on an impact trajectory. This artist's concept shows the Wide-field Infrared Survey Explorer, or WISE, spacecraft, in its orbit around Earth. 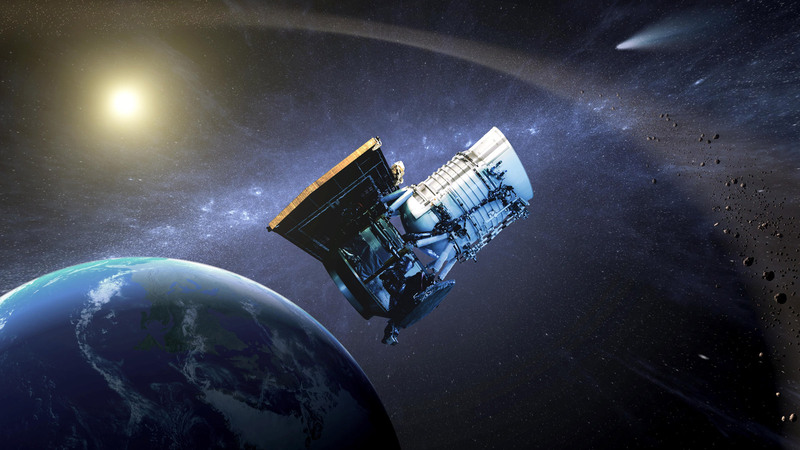 In its NEOWISE mission it finds and characterizes asteroids.